Date: 20.04.2018 | House, Electro, Dance, Club, Techno, Hard | Tags: Big City Beats, Kontor Records, World Club Dome Edition, Zonderling, Anna, Solomun, Sasha, Dubspeeka, Tujamo, Da Tweekaz, Nicky Romero | Download Big City Beats Vol. 28 (World Club Dome Edition) (2018) for free. Bigroom sound sets the tone on the first disc. Big City beats resident DJ Le Shuuk has made this 21 track DJ mix. Epic festival feeling comes up in this arena mix with artists. The second CD is called WCD Pool Sessions. There is fine techno and tech house on the ears. Almost exclusively hip underground sound can be found here. Each song on this CD has its own character and is perfect for quieter moments. Zonderling is currently one of the hottest club acts in Europe. CD number three were mixed under Zonderlings instincts and include not only some chart hits but also numerous cool club. For those who prefer a bit more commercial, they might know songs. The third CD is a wonderful mix of the sound of the first and second CD. 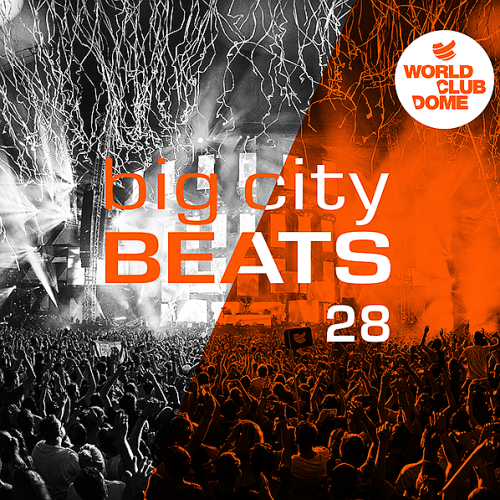 On April the Big City Beats 28 will be the perfect sampler for the mega event in Frankfurt.